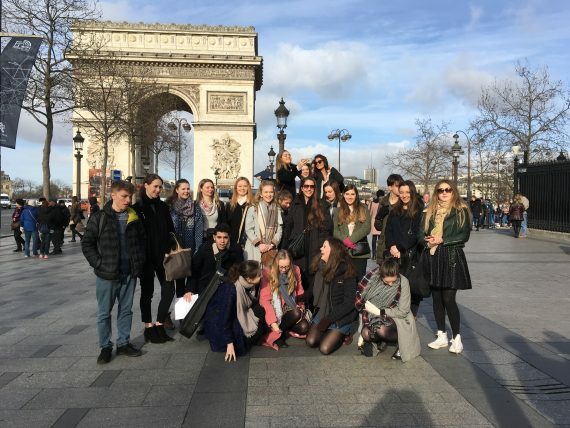 In February half-term, 22 Year 12 and 13 students of French spent a wonderful 5 days in Paris with Mr Chillingworth, Mrs Hales and Mrs Harrison. Attempts to dodge Storm Doris were only partially successful, the ascent of the Eiffel Tower was a little windswept to say the least! But the hardy students were soon restored with copious doses of French chocolate and a tour of the Opéra Garnier. 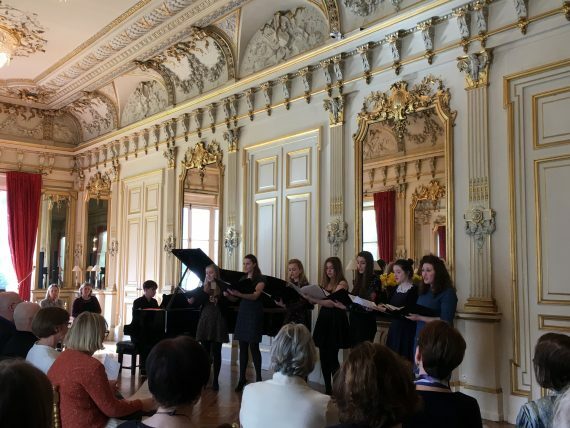 Music continued to be a dominant theme with a trip to see the Orchestre de Paris at the new Philharmonie concert hall, and the following day over half of the students performed to an invited audience at the lavish Residence of the British Ambassador, even introducing their pieces in French. Other ports of call included the Latin Quarter, the Pompidou Centre and Montmartre, including spotting locations for the movie Amélie. The students capitalized on some free time to sample the delights of the Louvre, as well as fitting in some retail therapy. And the final evening dancing at the Caveau de la Huchette, the jazz club featured in the movie La La Land, was a fitting end to an excellent trip, full of cultural and linguistic enrichment. So much fun was had that many were tempted to extend the trip: taking French leave in more ways than one!